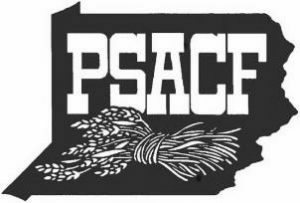 The goal of this NEW PA PreferredTM Junior Baking Contest is to highlight Pennsylvania agriculture by featuring locally grown grains, fruit and vegetables as well as locally produced dairy products and eggs in the contest entries. Participant must be an individual amateur baker (age 8 through and including 18 years old) who is a Pennsylvania resident. One entry per person. 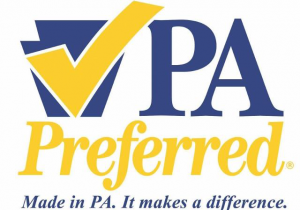 Entrants may not have won 1st place in the PA Preferred™ Junior Baking Contest at any other fair in 2018. Entry must be a plate of six (6) individual sized portions of the baked entry item. Entries must be made from scratch. Pre-made mixes are not acceptable ingredients. Entrants may NOT have won 1st place in this Angel Food Cake contest at any other fair in 2018. First Place Winner is eligible for the 2020 PA Farm Show competition. Open to any individual who is a Pennsylvania resident; only one entry per person. Entrants may NOT have won 1st place in this Blue Ribbon Apple Pie contest at any other fair in 2018. Entry to be a pie that must include at least 60% apples in the filling. It does not need to be a “traditional” two crusted apple pie and it can have a variety of fillings. Creativity is essential to a varied competition. Do not limit your contest to a “traditional” two-crusted apple pie. We are looking for a variety of fillings in the pies; the pie must include at least 60% apples in the filling. NOTE: If an individual has already won 1st place at another fair in 2018 for this Blue Ribbon Apple Pie contest, that individual is now considered qualified through that Fair to compete at the 2020 PA Farm Show and is no longer eligible to enter this contest at any upcoming Fairs. Participant must be an individual amateur baker who is a Pennsylvania resident. One entry per person. Entrants may NOT have won 1st place in this Homemade Chocolate Cake contest at any other fair in 2018. Entry must be a layered chocolate cake made from “scratch”. Pre-made mixes are not acceptable ingredients. Entry must be frosted and frosting must be made from “scratch”. Cake recipe must feature chocolate or cocoa as a main ingredient.